Are you interested in working for the Manitoba government and ready to apply? Here is information and some handy tips that will help you succeed. Didn’t find a position that suited you on our job opportunities site? We update the site with new opportunities daily, so keep on checking! You might also consider applying for a casual or short term entry level position to gain experience (see How to apply), or look to see if you are eligible to apply for one of our Internship, recruitment and development programs. Are you a student? Check our Student employment page to see what other opportunities are available to you. 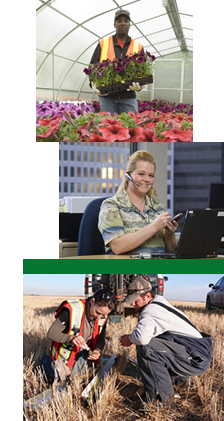 We offer information sessions on the Manitoba government’s staffing process. Sessions are free and last about two hours. Topics include: job advertisements terminology, the Common Recruitment Initiative (CRI) and other employment opportunities; resumé-writing tips; preparing for the interview; and following up if you are not successful. 1-800-282-8069 ext. 2332, or email us at csc@gov.mb.ca. Please advise as soon as possible if you are not able to attend an information session for which you have been registered. These sessions are only intended for members of the public who are not currently employed by the Manitoba government.